"Rabbi, a holy man in our community has been selling chickens. They seem to be much scrawnier than regular chickens, but the holy man says that they are special. He guarantees that if you buy one of his chickens, it will lay enough eggs to feed your entire household. He also says that it will only work if you do not purchase any other food, because that shows a lack of faith. In fact, he warns that if you do purchase other food, or worse, if you don't buy one of his chickens, your family will be be condemned to poverty. 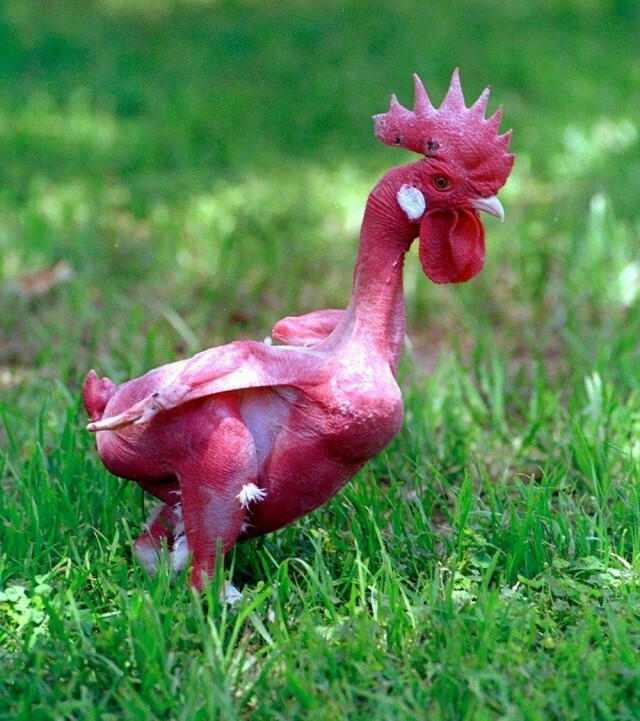 "People are buying these scrawny chickens in droves. Some because they believe the holy man's promise. Others out of fear, because they don't want to be ostracized by their friends, neighbors, and community if they are seen bringing additional food into their homes. This man also targets children, indoctrinating them to believe that they must buy these chickens or face ruin in their future lives. "And the chickens? 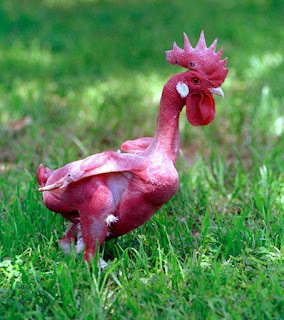 It appears that they're just scrawny chickens. The people who bought them found that they lay no more than 1 to 2 eggs a day, not nearly enough to feed a household. Children regularly go to bed hungry. Many are thin and malnourished. Families are suffering. Rabbi, what are we to do?" "This is insanity, a travesty! When a person is brought to heavenly judgment, the first question they ask him is: Did you deal faithfully and honestly with people? Were you trustworthy in your business dealings? By making such empty guarantees, and convincing a whole community to buy into it, indeed scaring them to buy into it, this man is guilty of grave transgressions! He owes every one of these families every cent of what he guaranteed and failed to deliver, five times over. Of course he can't possibly pay them all back. Nor can he compensate them for their great suffering. Who is this 'holy man'?" "Rabbi," says the visitor, "that man is you! The single chicken per household is your promise of adequate parnasah from a single earner, a woman and mother with nothing more than a Beis Yaakov education, which you've warned us not to supplement. You've told the men not to depart from their learning, and even the women you've forbidden from obtaining an education that would enable them to bring in enough money to support the family. You guaranteed us great abundance, and yet many of us can scarcely put food on the table, must rely on tzedakah to live. Some accept their poverty as a badge of faith. But many are scared to do anything different, not wanting to be seen as lesser in the eyes of their neighbors, or their own children, who they're also worried about marrying off. Others have lived this way their whole lives and simply lack the skills and wherewithal to do anything different. Rabbi, you made this guarantee to us, and now I come to you on behalf of the community to ask you to cover that guarantee. Please, pay us the money you've promised we would have. And one more thing. I beg you, please stop selling us these chickens." Holy men with magic chickens? I'd rather have pigs in shtreimels. A classic example of your 'tone' that many object to. Leitzonus never got anybody anywhere and reveals your true self. But you agree with the actual message? Funny, the story reminded me of the prophet Nathan rebuking David over killing Uriah. Did he have a tone problem as well? It's not leitzonous. It's merely using precisely the same metaphorical device as is "pigs in shtreimels." Everyone has the right to say what he thinks, but if one side is going to use moral and cultural blackmail, then ripping the peddler of the other opinion for turning around the same argument is particularly ineffective. "Leitzonus never got anybody anywhere and reveals your true self." On the contrary; leitzonus drives home the arguments that cognitive dissonance refuses to let us accept. Never underestimate the power of a good comedian to effect your thinking. It's cute how he's hitting you on tone when you're actually quoting someone else's story. I was also going to say it reminded me of Nathan and David. This is a classic moshol / rebuke, not leitzonus. Hillel taught that it is a mitzvah to bathe in order to keep one's body clean. Could you imagine if he taught that although it's a mitzvah to keep your body clean, you will be blessed with cleanliness only if you stay AWAY from water! Get wet and you will not receive your blessings of cleanliness! 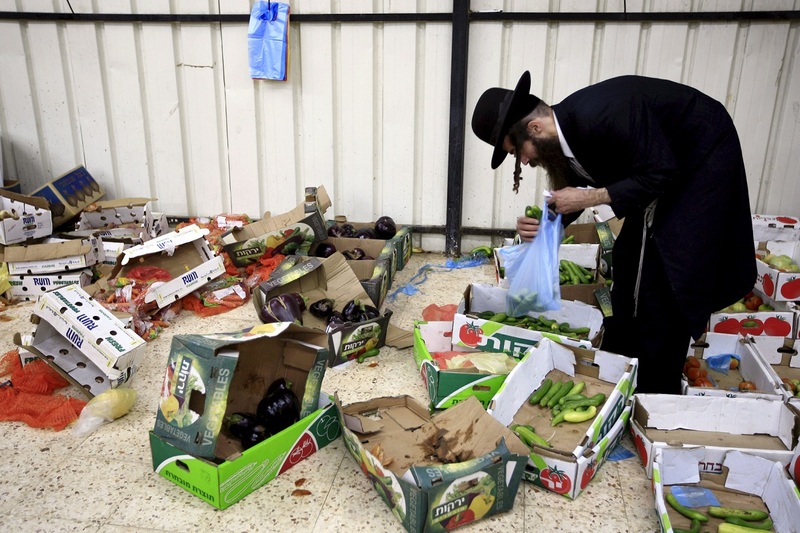 Or how about the Rambam lecturing on the importance of a healthy diet, but then imploring his flock to not put actual food anywhere near their mouths, lest they forfeit their blessings of good health. The only leitzonus I see is the last paragraph, so I'll assume *********** is referring to that. The parable itself: anything but. Larry, Nathan was a prophet so your analogy doesn't hold up in any way, shape or fom. Shaas, the "right to say what [one] thinks" is an American value. It is not a Torah value. As for efficacy, the peddler would need to be showing his wares to those who need them, not the audience that already agrees with him at the start, and simply uses these posts to claim moral and hashkafic superiority. The concept of torah values is a myth. I highly doubt you have any clear idea of what you mean by a 'torah value'. Because none of us have any clue what personal values the Torah considered worth having. I think that when most people say torah values they just mean those values that my philosophically boorish Rebbe taught me were important. No reason to project them on a book written some three thousand years ago. "Larry, Nathan was a prophet so your analogy doesn't hold up in any way, shape or fom." Yavoy, I don't agree that Torah values are a myth. But I'll put it more plainly for you: The "right to say what one thinks" is part of the United States' Bill of Rights. It is not legislated in the Torah. In fact the Torah legislates against saying what one thinks in many instances. David, Nathan, as a prophet, is compelled to deliver his prophecy. He must speak up. We, ordinary mortals, are bound by different rules of speech and criticism. Nooneinparticular, I agree with you. It's a tremendous problem. My point is simply that those who need to come to terms with the problem are not the clientele of this site; and those who are the clientele of this site often engage in childish behavior unbecoming of benei Torah. Except that nowhere in that story does Nathan say "This was the word of H' to me," as was the case when prophets were delivering prophecy. Not everything the prophets said was prophecy. Especially since in the time of the Kings, the prophet had a dual function: 1) to prophesy to the people, and 2) to constrain the king. It was in this second function that Nathan was operating in this story. His words need not have been H's words. Glad to see some are ignoring this theocratic nonsense. Chazal had jobs! Thankfully some are ignoring this theocratic nonsense and fulfilling the true legacy of chazal who worked as well as taught. As a card-carrying TIDE proponent, I agree with the first commenter. 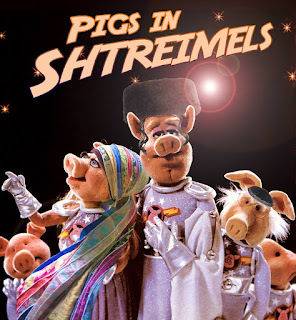 Mocking Talmidei Chachamim - which the Muppet parody clearly does - is a grievous sin. That many in your audience have little, if any, respect for Rav Kanievsky and Rav Shteinman, shlit"a, is unfortunate. But it does not suffice as a reason for you to continue serving up "red meat" to your audience for kicks and giggles. But the "pigs in streimels" are not Rav Steinman and Rav Kanievsky. They are Adina Bar-Shalom, Rabbi Betzalel Cohen, etc., as described by Rav Steinman and Rav Kanievsky. It's Rav Steinman who initiated the mocking metaphor. If someone is learned, and therefore revered, and uses that position of reverence to cause widespread ruin, poverty and sadness, why are they worthy of respect? > That many in your audience have little, if any, respect for Rav Kanievsky and Rav Shteinman, shlit"a, is unfortunate. Respect has to be earned. What have they done to earn our respect? Hit the nail right on the head Isaac Finkelstein. Many of these people may be extremely learned, keep the Mitsvos wonderfully, and exercise extreme mesiras nefesh, but nonetheless they cause tremendous harm for failure to use their intellect correctly. That doesn't make them worthy of respect. It makes them highly despisable. CJ. I think the point of the post is to help more people open their eyes to the fact that these 'gedolim' are nothing of the sort. Posts like this, when spread around, help others to feel comfortable voicing what deep down they already know- that the emperors of the charedi courts are, in fact, naked. So now that your audience has made it clear that at best, Rav Shteinman and Rav Kanievsky are not (R"L!) worthy of respect, and at worst are "despisable" (R"L!!! ), Rabbi Slifkin I ask you: Do you agree with their assessment? If not, why not? Let's be honest now. The Charedi "Gedolim" are in fact bumbling idiots with dementia who could not find the bathroom. They are being manipulated by the people around them who are using them for their own benefit. And the fact that they are spouting such absolute nonsense only leads others to question everything they say. If they are so wrong about Parnassah why are they not wrong about every other statement they make. CJ I think you might need to demonstrate the basis of your respect for charedi leaders to those of us who see only a cultish offspring of Judaism that is growing more extremist by the day and led by rabbis who regularly make statements that are demonstrably at odds with reality. There are plenty of more normal rabbis available for those who wish to be observant jews without the need to kowtow to those who cannot be relied upon to speak intelligibly on important issues. Bill, I truly feel bad that my words incited you to make such a hateful and presumably disastrous (for your neshamah) statement. I beg you for mechilah. Truly. Those of you who make these denigrating comments should ask yourselves, Would Rav Herschel Schachter, shlit"a, or Rav Shlomo Aviner, shlit"a, make such a comment? Or if you made the comment in their presence, would they nod approvingly or would they cringe. CJ, I think what we're asking ourselves is, would R' Steinman and R' Kanievsky and other Chareidi leaders make such comments about people outside their communities. Which they would and have. And worse. Surely by definition, rabonim who make rulings like this should not be considered 'gedolim'. How can people so cut off from reality be relied on to make halachic rulings? What do you mean? Spotik was the first satellite ever sent into space! What's that? Oh... Sorry...Sputnik. Sputnik was the first satellite in space. It's been about 40 years since I last worked wirh egg-laying chickens, but I'm pretty sure they never lay more than one egg per day. Not all the Gedolim promise wealth and comfort if the current kollel model is followed. Rav Shteinman is on record, I believe, for promoting the virtues of poverty and that it's a good thing for a Chareidi family to be so because it increases the purity of their Torah. There are many extremists commenting here. Rav Kaniyevsky has dedicated his life to something important and valuable, making him deserving of our respect. If he devotes his life to something important and valuable, and causes tremendous harm along the way, that means that overall he's a figure demanding respect? Well I personally will not give him any respect for that. I think we would be much better off if he had never made anything of himself. Do you respect Lenin for dedicating his life to the important and worthy cause of increasing equality? I'm with R. Slifkin. I'll take the pigs in shtreimels any day, served up with a healthy dose of bacon, lettuce, tomato and mayo. My father, world vp of the Agudah always said that a Jew on welfare was a shanda.